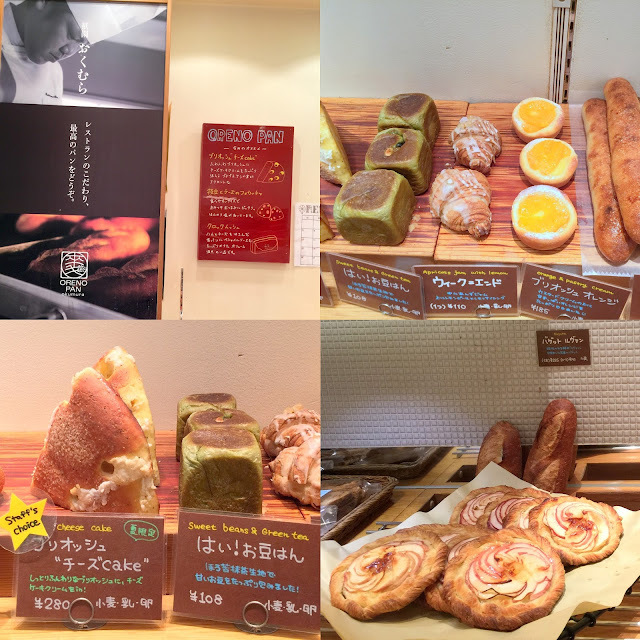 Hoshino Coffee : NEW Brunch Menu and Seasonal Strawberry Pancakes! Hand-drip coffee chain Hoshino Coffee has launched a new brunch menu that pairs its signature Souffle Pancakes and Omu souffle with familiar breakfast proteins such as angus steak, bacon sausages and salmon. There is a total of 6 different sets. If you aren't such a fussy meat eater, the Angus Steak Set ($19.80) offers decent quality meat without bursting your wallet. 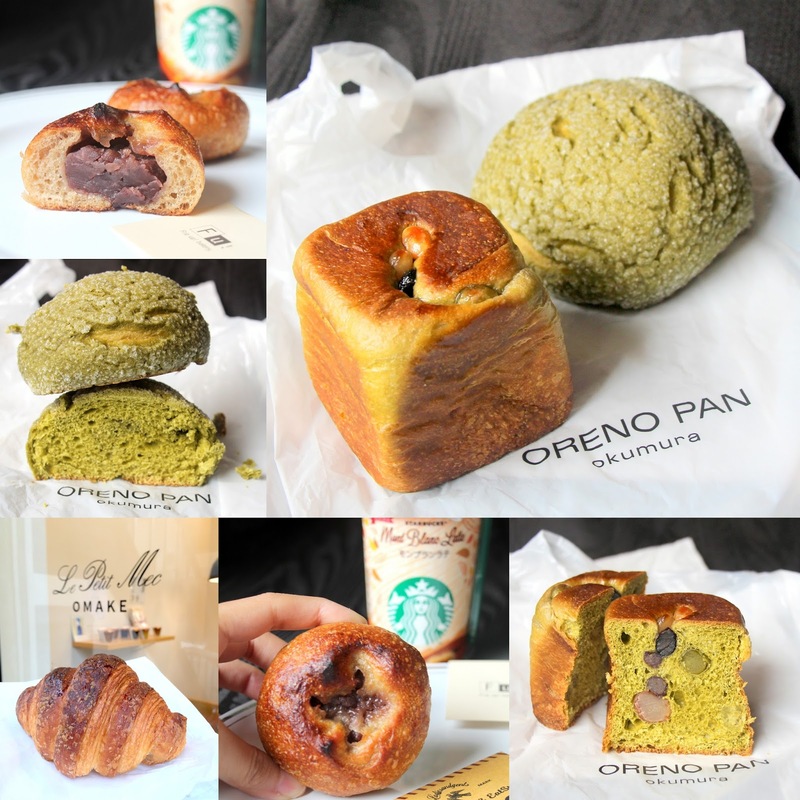 Many people recognize Kyoto as a city in Japan that is not only famous for temples and shrines but also matcha. However, do you know that Kyoto is the top bread consuming city in the entire Japan? 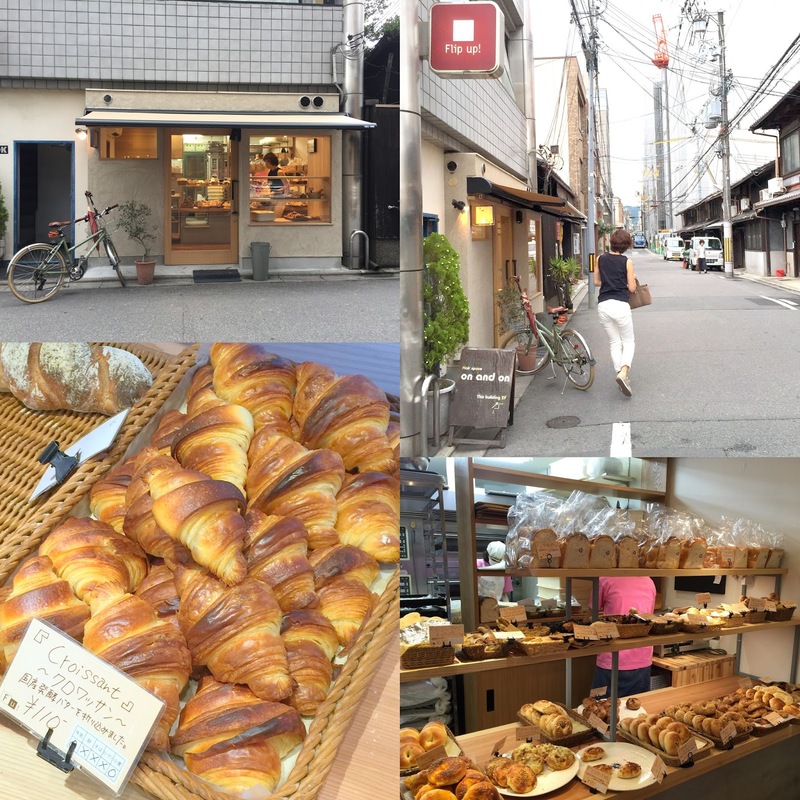 Flip some bagels and bread onto your tray in this hidden bakery located in the quiet residential area. Unlike those American bagels, these boast a nice mochi-like chewy texture and not too dry at all. The best seller is the Chocolate Bagel but lookout for interesting flavors like Black Bean Kinako and White Figs. My favourite patisserie and boulangerie! Read here to find out why. Located near university. Let me tell you a story. A story about a bowl of delicious noodles that has rewritten Singapore's hawker history. After the successful establishment of the Summerhouse at Seletar, 1-Group, the lifestyle F&B Group operating several award-winning restaurants such as UNA and 1-Rochester, redefines botanical adventures once again at The Garage. Over-the-top sushi piled with all sort of luxurious ingredients can be found in several izakayas in Tokyo and Izy Japanese Dining is probably the first place in Singapore which serves this. Opened since 2013, this pop culture urban izakaya has recently revamped its menu featuring new items with a focus on sushi rolls. Piled with heaps of fresh uni, Ikura, crab meat and negitoro, the Nokke Roll ($32) is a feast for the eyes as much as it is for the belly. The ingredients are surely fresh but I'm not so sure it is worth the value as I've had an almost exact same replica at half the price back in Tokyo. One issue was the rice. It was rather dry and the grains did not bind well. The same issue arose in the Izy Roll ($16), a tempura shrimp and asparagus roll with spicy crab mayo and avocado spread on top. While Izy has a leaning towards Japanese-American fare such as these kind of mayo sushi, one can still find classic sushi on the menu. Nonetheless, the game is not lost. The Wagyu Don with Fresh Truffle Slices ($40) was an excellent rice bowl. The Josper grilled beef was well-marinated and juicy, bonding cohesively with the rice thanks to the Onsen egg buried within. The presence of truffles is definitely welcomed here as its aroma enhanced the sweetness of the beef. I had always thought Gyu Katsu $30 would be thick and chewy, but not the case here. The beef was sliced so finely, cooked to a beautiful pink with only a thin layer of fried batter around it to qualify this as a katsu. It comes with three different types of sauce but I think the best way to enjoy it is just simply with a dabble of salt. For some sharing dishes, get the Grilled Swordfish or the Nanban Chicken (ala carte $9/$20 as lunch set). The fish was fresh and the the unique combination of parmesan and seaweed in the sauce gave it a delicious twist to the usual grilled fish we have in Japanese restaurants. The Naban Chicken were simply juicy and tender, doused generously in the tasty tartar sauce. Both dishes are my favourites that night too. Interestingly, they also served Bayan Cauda ($15), a very common dish in Japan, especially Italian trattorias, but rarely found here. It's a classic Piedmont vegetable fondue made with onion, garlic and anchovy but here white miso is incorporated, giving it an extra intense umami boost. Located in Club Street, I can understand why this place is popular with after-work crowd and business expats looking for a nice place to chill out after work. When we think of Tong Garden, the first thing that comes to our mind is nuts. What started as a humble peanut business of one man, Mr. Ong Tong Guan, on his bicycle back in the 1930s has grew to become a familiar household brand for nuts and other healthy snacks. But do you know that Tong Garden offers more than just nuts? Here are 4 delicious snacks that you may not know it sells. Tokyo isn't short of Michelin-star restaurants and it isn't surprise to find overseas Michelin-star chefs venturing into the local market. One good example is Bistro Marx by chef-owner Thierry Marx of 2-star Sur Mesure in Paris. For the price and the location in glitzy Ginza, Bistro Marx is more like a upscale fine-dining restaurant than anything else. Farm-to-table cuisine seems to be the trend these days with more restaurants championing the use of local produce in the dishes. After Wildseed Cafe, I had the opportunity to visit Open Farm Community, a dining concept by Spa Esprit Group that celebrates eating local with familiar flavors and ingredients close to home. In fact, the cuisine was nothing short of bold, delicious flavors and I was impressed by how local produce can be so versatile. Umezono Chabo is the latest concept by Umezono which also owns Umezono Cafe & Gallery that seeks to inject a new lease of life into yokan (bean paste jelly). It's one of the traditional Wagashi which I avoid at all costs because it tends to be too sweet and cloying. It's not even a jelly to me because it's so firm, just like eating a block of bean paste shaped in typically a square or rectangle.